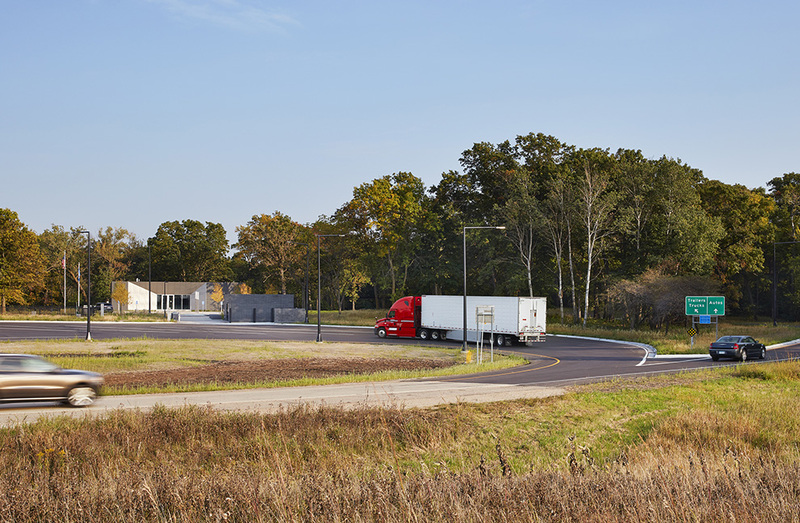 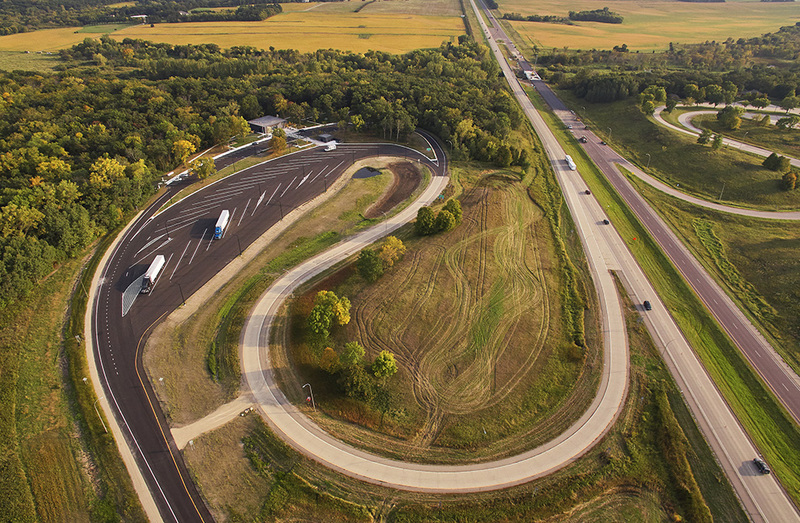 Located between the agricultural fields of southern Minnesota and the Straight River Valley along the I-35 corridor, Straight River Northbound Safety Rest Area replaces and expands an existing facility at the end of its useful life. 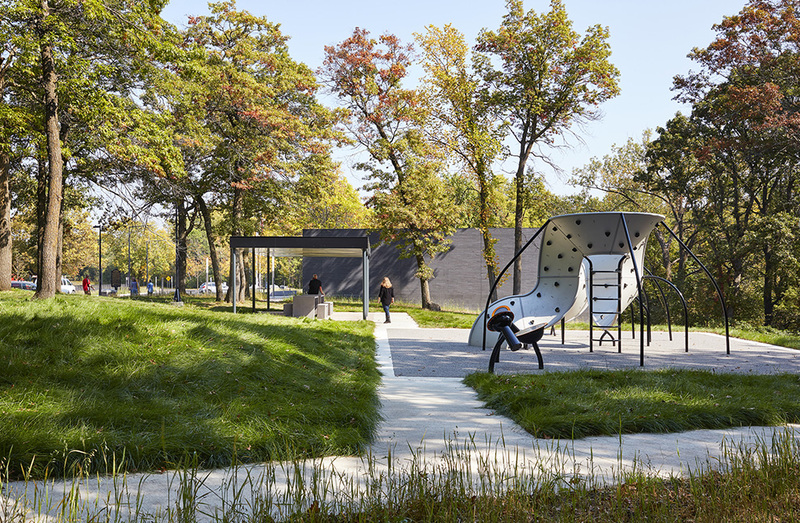 The design team was initially struck by the transformative quality of the site, allowing weary travelers to submerse themselves in a serene wooded river setting. 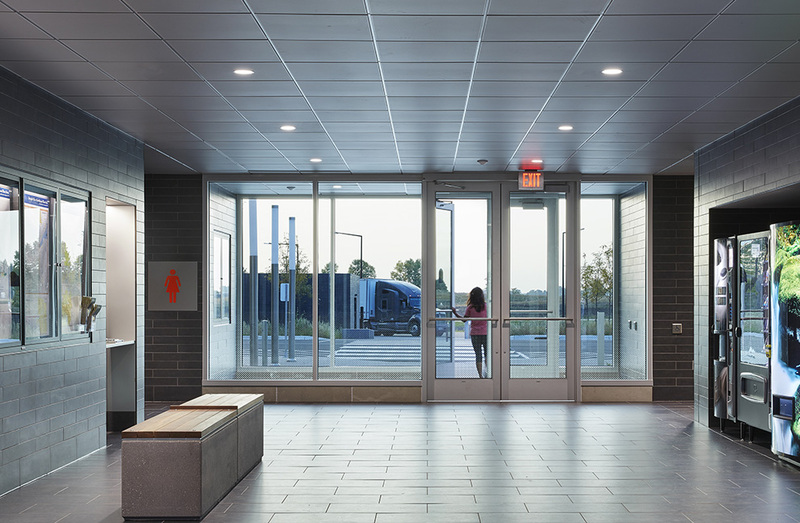 The main building of the Straight River Rest Area houses restrooms, vending and information, while two pavilions shelter quiet seating. 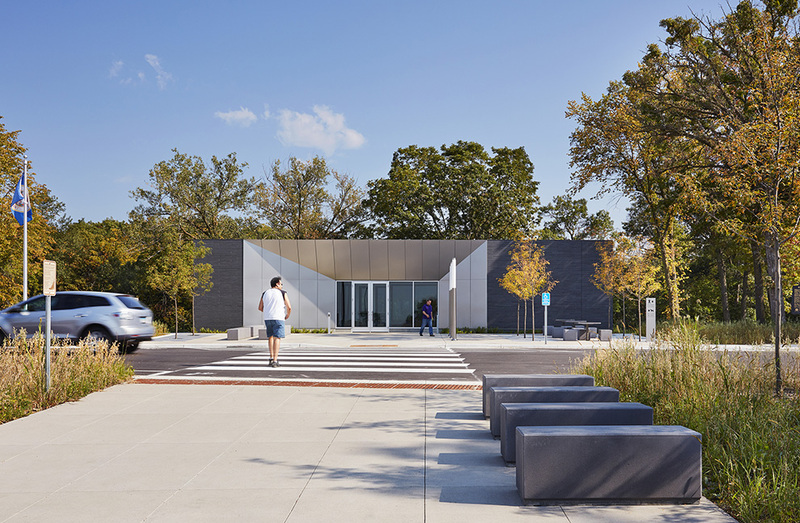 The architecture plays with duality and contrast of the modernized rest area and the surrounding natural forest area. 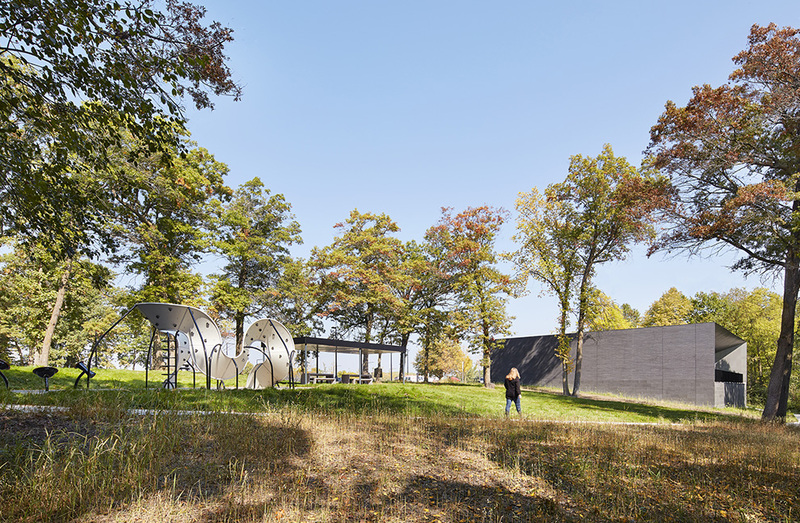 As one approaches the facility from the parking area, canted stainless-steel panels reflect trucks parked in the background while directing the visitor to a portal with views to the wooded river valley beyond. 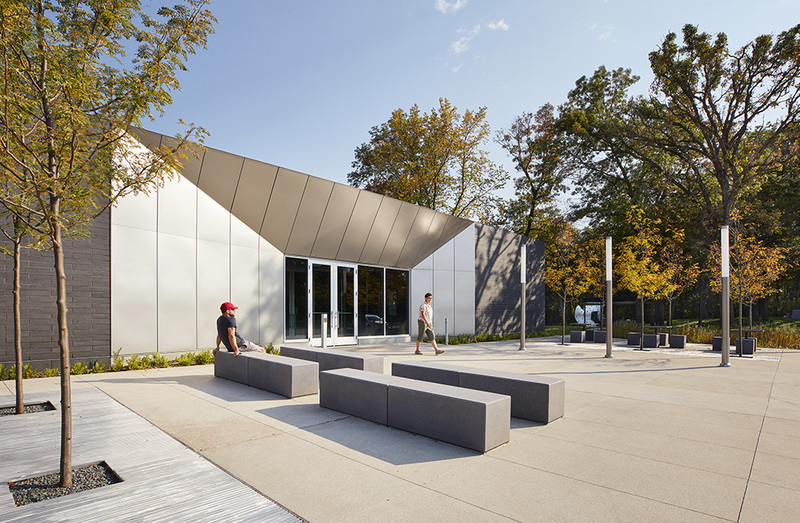 Passing through the Straight River Rest Area, the visitor can inhabit an elevated terrace. 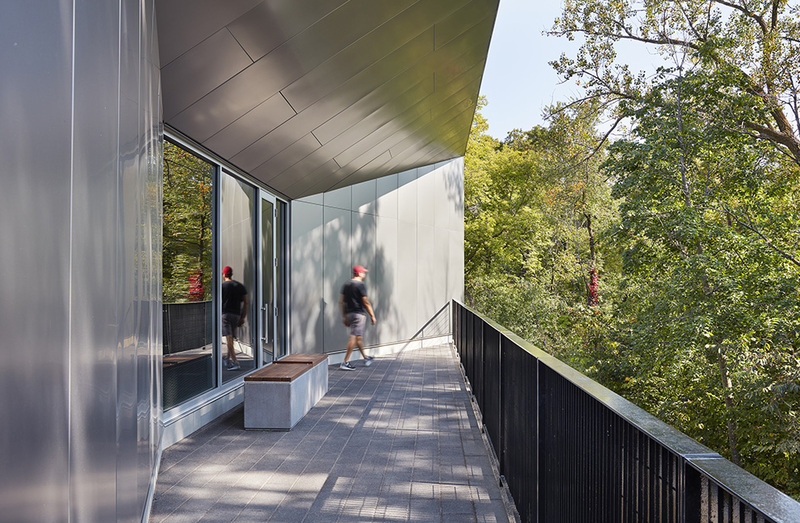 The terrace is wrapped in the same stainless-steel panels as the entry offering panoramic views and reflections of the wooded river valley beyond.